David Weekley Summit Ash former model hm! Frnt entry w/beautiful tile inlay floor, 10â ceilings, decorative columns & art niche. Frml dining rm accented w/chair railing & crown mldng. Crown mldng also in main flr study w/Frnch drs. Opn great rm w/drystack stone frplc illuminated by E. facing wndws. 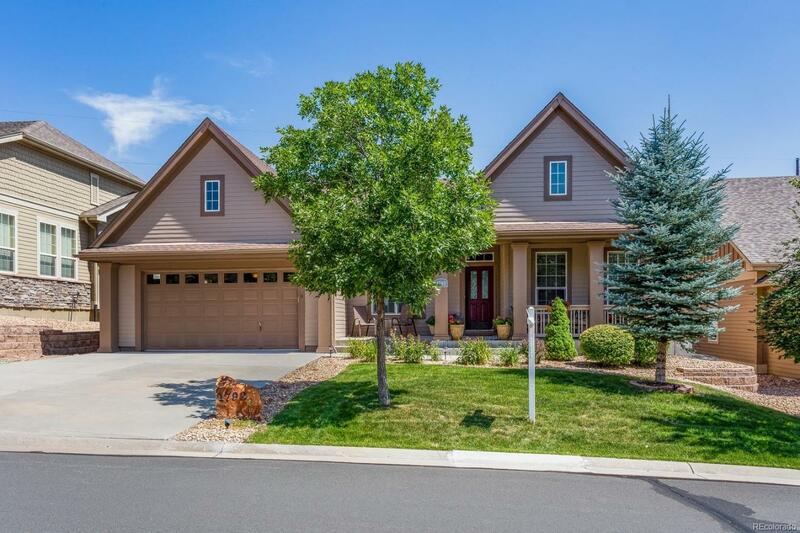 Adjoining ktchn w/Knotty Alder Ginger cabinetry, slab granite, center islnd, new gas range, newer frig, pantry, plentiful counterspace for prepping & cooking, two-tiered brkfst bar separates eat-in area while connecting cozy sunroom. Main floor master bdrm w/spa-like bthrm incl large soaking tub defined by arched columns. Upstairs secondary liv quarters offers 2 addl bdrms connected by spacious loft for work, play, study. Fans & wlk-in clsts in all bdrms, 2 linen clsts. New-wtr htr, air purifier, ext paint. Entertain on 4 yr old 22x12 trex deck accessible from main living area or enjoy lower lvl bckyrd surrounded by mature trees. HOA w/driveway & porch snow rmvl, frnt yrd mntnc.